Determine the sender at the profile setup by choosing the name and the email address to be used for your mailing. The integrated SmartSerialMail wizard will help you to create your profile automatically. Hint: If you are using the same email address settings as within MS Outlook, you will be able to import all relevant data into SmartSerialMail . 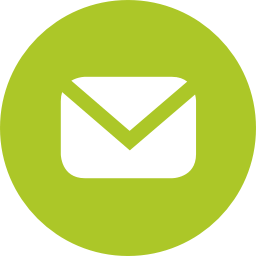 A once configured profile will be automatically available for all future email campaigns. You only need to take a quick look at the sending options to assure that you have chosen the right profile. Hint: With SmartSerialMail you will be able to setup as many profiles as you want to e.g. if you want to send out different mailings with a different addressor or if several people are using SmartSerialMail. Create a recipient list and import all relevant data of your addressees. The convenient import wizard will guide you through the whole process step by step. Hint: SmartSerialMail supports all common data formats such as Excel, CSV, MS Outlook, SQL etc. With SmartSerialMail you can organize all of your recipient lists by using categories. This helps you to manage your recipient lists and to maintain a perfect overview at all times. Hint: Numerous, useful managing functions support you - for instance to find and delete duplicate entries, manage bounces, subscriptions and cancellations of newsletters. According to your content SmartSerialMail creates a unique email for each recipient in your list. Regardless of whether you like to use your already existing HTML-templates or if you wish to create new content in SmartSerialMail: the easy-to-use and sophisticated HTML-editor helps you to create your own templates in no time. Hint: Already existing serial mail templates can be easily imported into SmartSerialMail, as the software supports an import of MS Word, text or HTML files. It's your choice: Wheather to start the sending of your newsletter immediately or in a scheduled mode whenever you want to. Hint: Even while SmartSerialMail is closed, your mailing will be send out automatically in the backround. A tray icon informs you about the current delivery status.